It all started because my mom tried her hardest not to have a Halloween baby. I was already two weeks late and not budging. Well, she went for a walk one day and lo and behold labor pains began. Really not the best or safest way to get me out and I really don't recommend it to anyone! In fact women who are overdue really should seek advice from a their doctor. But there I was brand spanking new the day before Halloween! But beside the extremely close birth date I love the fact that Halloween brings out the creative nd mysterious part of people. The costumes are always the rage! Bought or made, I love seeing them all. Or forget the costume all together and wear make-up... still... LOVE IT!! Why wouldn't anyone want to embrace and celebrate it?! So, I too embrace this holiday through creativity. 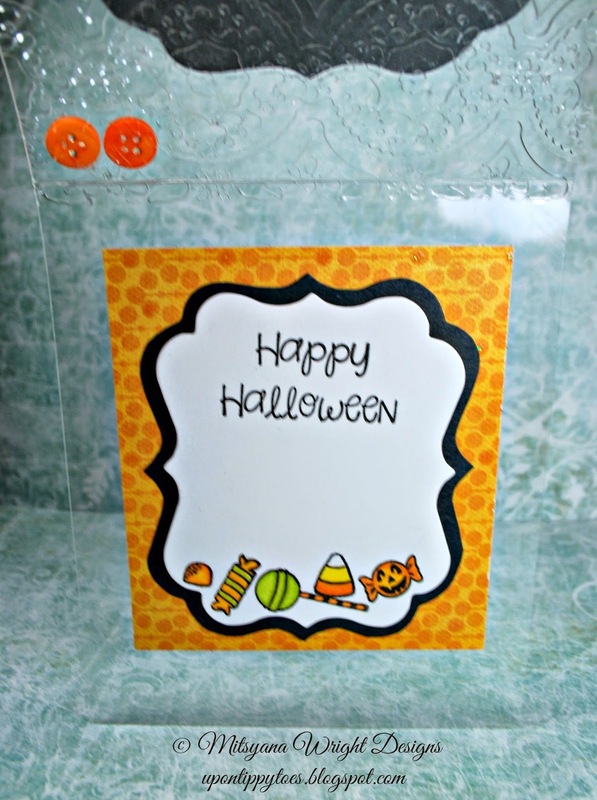 Here's a card I made that represents my favorite Halloween pass time... Trick-or-treating. For this card I used Pink & Main's Smell My Feet Stamp Set. I love this stamp set. That frog just kills me hanging on the candy bucket! For the card base I use Grafix's Craft Plastic heavy weight sheet in .20" thickness. I cut the sheet into a 5.5"x 11" piece and folded it to make an A2(4.25"x5.5") sized card. Then I embossed the front flap of my card with an embossing folder. 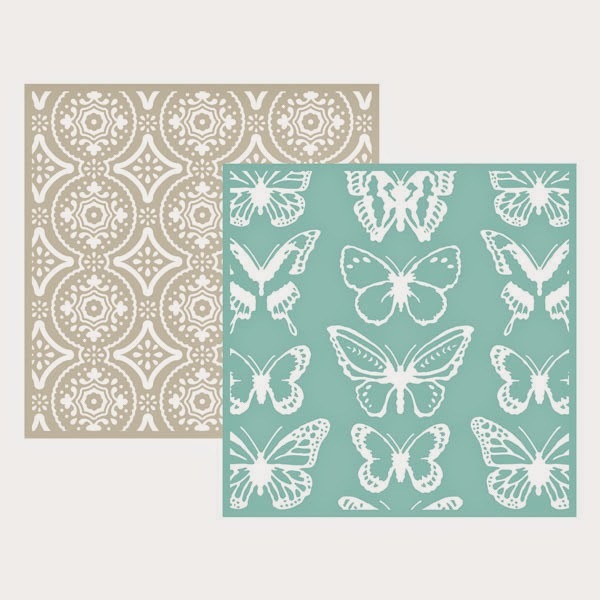 The embossing folder used came from the We R Memory Keepers Butterfly set. I hid my inside panel by layering it directly under my front panel. And, there you have it... something a little different... but it works!! And, I love it! 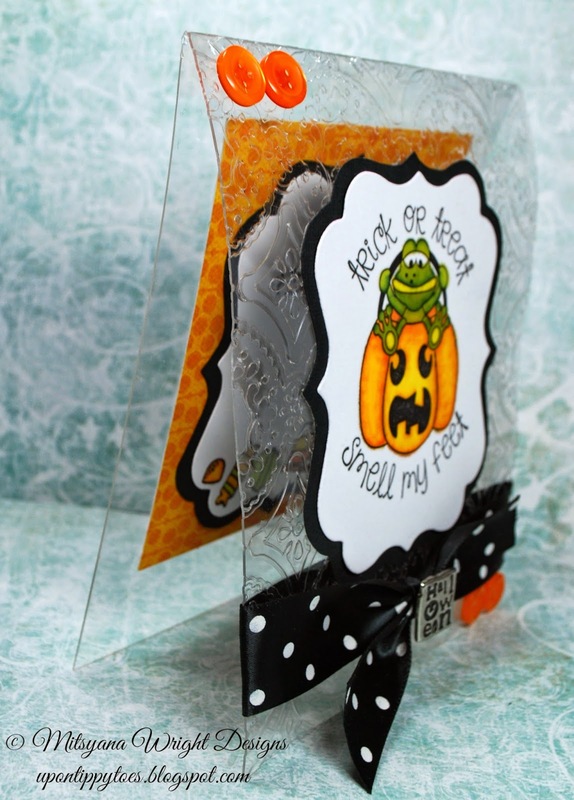 Try making your very own "see-thru" card... you might love it too! !